If you’re worried that what you don’t know about this 1,000+ page tax reform bill may cost you BIG, click here to get my list of specific provisions and interpretations most relevant to you since final version of the bill has been drafted! Senate Republicans huddled and caucused before their self-imposed deadline of Friday night, Dec 1st to hammer out one of the most far-reaching Tax Bills, the likes of which our country hasn’t seen since Ronald Reagan’s historic Tax Reform Act of 1986; some 31 years ago. They named it the Tax Cuts and Jobs Act, which President Trump had for weeks heralded it the Greatest Tax Reform ever; neither is correct. Many of us have questioned why the sudden urgency for a late December 2017 bill passage, until we noted that the Republican political win column was shockingly bare. Inquiring minds ask, “If Tax Reform was indeed a priority of sweeping proportions to Republicans and the White House, why did it take such a back seat to President Trump’s many Tweet distractions & induced chaos, or the Republicans’ thwarted legislative agendas for both the whole of 2017 and this past decade? Then, in response to Republicans’ lack of substantive legislation passed in 2017, this Tax Cuts and Jobs Act was passed by capitulating—even in the waning minutes prior to the vote–to satiate individual holdout Senators’ preferences. Indeed, politics reigned supreme over logic and substance; there was no appetite, let alone time, for bi-partisan input. For the record, the economy is far from on life-support; it has been bolstered with an infusion of 6 trillion dollars after the 2008-09 recession, we’re at near full employment and the stock market has barreled along at record levels for the last 8 years. There is no economic or financial emergency for debt-based economic stimulus; none. It then begs the question: exactly what so badly needed ‘reform’ that necessitated break-neck speed in passing such a tax bill, especially with less than 25 days left in the year, negating any citizen’s ability to properly plan? Besides President Trump touting he would slash corporate taxes, that is. Mind you, President Trump also promised to repeal & replace The Affordable Care Act, yet ultimately found it too complicated a proposition, and failed. It seems that tax simplification wasn’t the goal—nor the outcome—such as there will be no Individual filing on the back of a postcard, for example. And folks the likes of President Trump and millions like him will still pay advisors to find or create schemes to avoid paying income tax altogether, so tax fairness nor broadening the tax base were neither the goal or the outcome. Tax Reform is, by definition, typically either simplification, broadening the tax base with an eye to fairness, or closing loopholes, all in an effort to provide economic stimulus. Part of the reason Reagan’s Tax Reform Act of 1986 was championed as a rousing success at its passage was that Congress actually sidestepped many of the powerful lobbyist groups and garnered bi-partisan support for over 2 years in the creation, and beyond, in the 10 additional months after the Act was introduced. 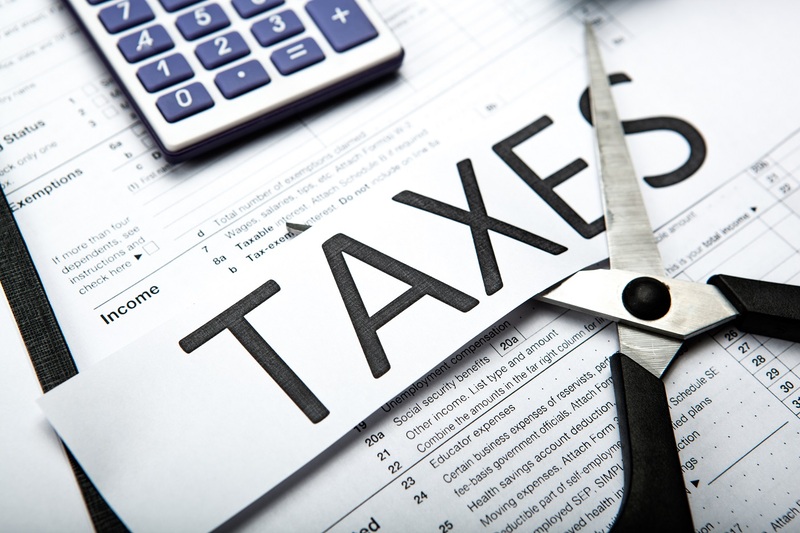 Taxes on corporations were raised to fund tax cuts for individuals in a revenue-neutral fashion, that equalized the distribution of these created tax benefits, largely the Middle Class. By contrast, this Tax Cuts and Jobs Act’s genesis was slashing the corporate tax rate by an unheralded margin—from 35% to 15%, later amended to 20%–and then scouring the landscape for revenues to pay for it. Considering that each 1% equates to 100 BILLION dollars over 10 years, that’s a tall task indeed. That search quickly landed chiefly upon limitations to, or elimination of, certain popular individual tax deductions and tax credits. The Tax Policy Center has initially estimated that the top 80% of newly created tax benefits in the Tax Cuts and Jobs Act will be distributed amongst the wealthiest 1% of Americans. No three years in the making, no bi-partisan input, let alone support. And lobbyists, not Senators, were those penning myriad addendums in the bill’s margins as late as during the roll call vote. The timing of this Tax Bill is downright cynical because of the date on the calendar; virtually no time to plan before the law would become effective January 1, 2018. To smile and state in a jocular fashion then that this will be the best Christmas gift ever, is fake news at its worst, inferring that the Middle Class is illiterate, stupid or both. Click here to get my list of specific provisions and interpretations most relevant to you since this bill has been finalized, so you can proactively prepare to minimize its effects on your lives and your income taxes in 2018 and beyond! It appears that Americans may instead be subjected to a rash tax bill that will generate a modicum of the projected economic growth yet worse, largely due to the sunsetting provisions, will burgeon our national debt—a prospect that if proposed by Democrats would elicit conservatives’ ire, if not worse. Republicans have abandoned and forever lost their Fiscal Conservative mantle with this bill. Rather than detail every aspect of the Senate’s Tax Bill, which would be nigh impossible, since to my earlier point, it has been an ever-changing document up until, and during, voting passage last Friday night—I have highlighted a few, explaining their effect in plain English, as you can count on me to do. Click here to get my list of specific provisions and interpretations most relevant to you now that the final version of the bill has been drafted, so you’ll know how they will affect your lives and your 2018 (and future years’) income taxes. Property Tax deductions or a cap thereon; Most CA or Northeast residents’ property taxes on their principal home well exceed $20k a year. Given the long-held mantra of ‘Owning a Home is the American dream,’ the tax code should then support same. State And Local Tax deductions elimination or severe limitation, hence the chant, “Pass the SALT!” While this may only amount to incidental dollars for many midwestern American families or those living in the 7 states that don’t currently impose an income tax—Texas, Florida, Nevada, Washington, Wyoming, Alaska & South Dakota–for California or New York or New Jersey or most of the Northeast families, state & local tax taxes can easily total $10-50k. The lost tax deduction would amount to between 28-35% of those numbers; hence a whopping tax increase of that amount. Finally, for American citizens & a country that is being bound & gagged with the burgeoning costs of its citizens’ addiction(s), it’s curious that craft beer companies having wrangled new tax breaks. Further, should the Tax Code provide extra perks for Cruise Ship lines whose ships dock in Alaskan ports, over the myriad other hundreds of American ports? And, saving the best for last, should the new Tax Bill offer overly generous tax relief to Real Estate Companies and more specifically, Golf Course owners? Suffice it to say, the Senate’s marked-up-in-the-margins (every pun intended) version has since gone to committee for morphing with the House Bill to produce a final bill for President Trump’s ready signature, already promised as America’s Christmas Gift. NOW is the time to give your elected officials YOUR opinions, before Middle Americans wake up instead to a huge lump of coal!